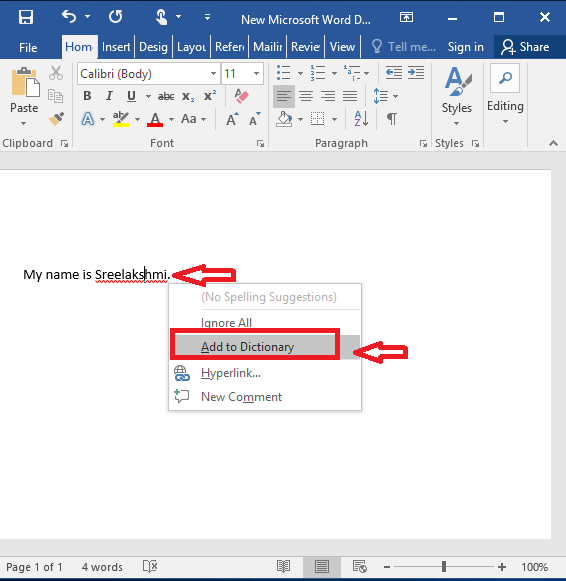 Add a Word to Dictionary in Word 16: – There are various words that we use in Microsoft word while typing which are not available in the dictionary. These words could be your name, or a place in your address or even words from your native language. A red line is used to indicate such words. It is fine to have these lines under misspelled words but you don’t want them to appear each time you use your name or some other frequent word. This post introduces two ways to add such words to the dictionary. You can use this method if you are in a hurry to type. Here I have used my name in a sentence and you can find the red lines. You can add the word to the dictionary on the go. 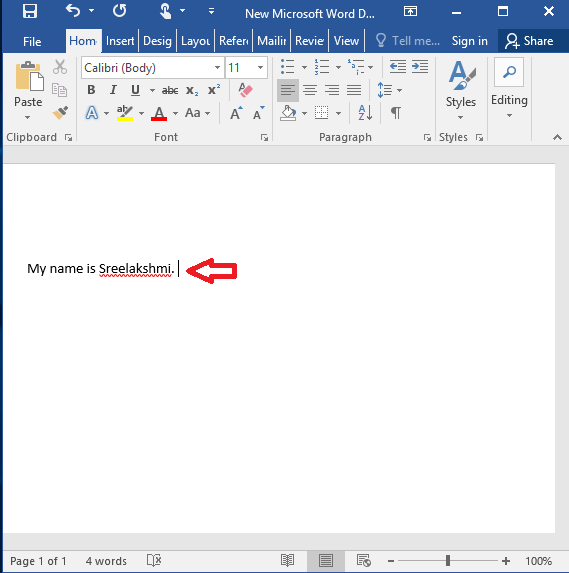 Right-click on the word after typing. A set of option appear. Click on add to dictionary.